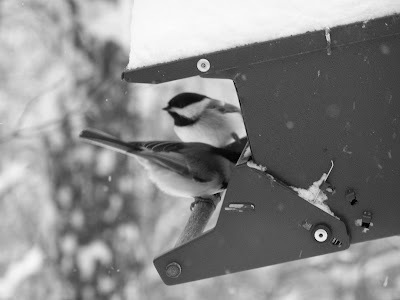 One of my favorite things to do in winter is watch the different types of birds that visit the feeder. You can get a good idea of when a storm is on the way because the birds go into a feeding frenzy. But be warned, once you start feeding the birds, you just can’t find it in your heart to stop. Of course, when the squirrels find you, well, then you have a whole new fight on your hands.